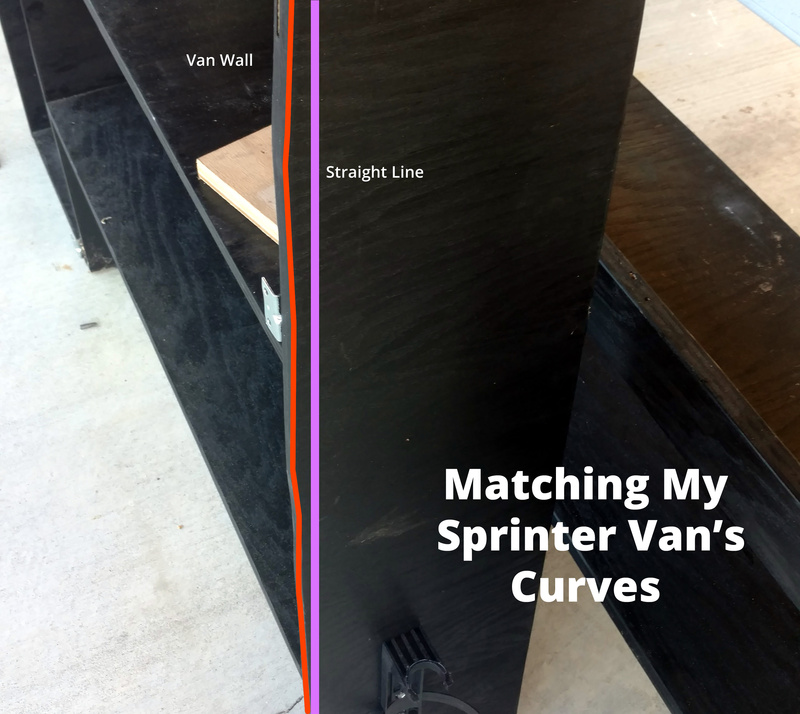 We get a lot of questions from customers about how we were able to match the curves on our Sprinter van's walls when making our first cabinets. This was actually pretty tricky till we found the right tool. We tried cardboard, paper and even a bit of freehand with no luck. I think I even tried to build a two pencil drawing contraption, no luck there. I decided to do some research on the Internet to find out how carpenters match complex curves when building cabinets and such. After a bit of creative searching I found that many carpenters use a contour gauge that mimics the curves and allows them to be traced to another surface. I found one on Amazon that had a 10" width to match the curves. Although short, this gauge allows you to take 10" tall samples of the curve of your walls and trace them to cardboard or wood. It takes a few minutes to get your wall aligned and to begin mapping the curves. I found it best to plot out the sections on my cardboard and on my wall. This kept the process easy to match the corresponding section of wall. It was easy to use and relatively in expensive. Came in real handy every time I wanted to match a curve in my Sprinter van. I hope this helps someone else find the proper solution when working on their conversion van.